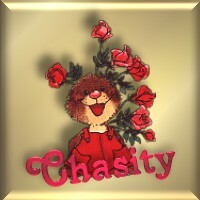 HELLO MY NAME IS CHASITY AND THIS IS MY SITE. I AM A TUXEDO KITTY. I LIVE IN Wolfforth, Texas. I WILL PUT LOTS OF THINGS ON THIS SITE. I GIVE AWARDS. I ALSO HAVE A PAGE FOR AWARDS THAT I HAVE RECEIVED. I WILL TELL YOU ALL MY LITTLE THINGS OF MY LIFE ON MY ABOUT ME PAGE. 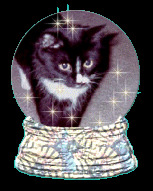 I ADDED A MEMORIAL PAGE FOR MY KITTY, BROTHER, FLUFFY WHO WENT TO RAINBOW BRIDGE BEFORE I WAS BORN. I NEVER GOT TO KNOW HIM BUT MY MEOWMIE TOLD ME HE WAS REAL PRETTY. HE WAS A GREY TABBY. 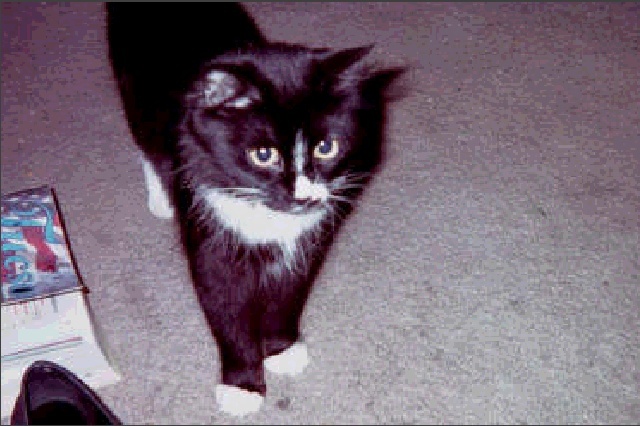 I HAVE ADDED A PHOTO OF FLUFFY ON HIS MEMORIAL PAGE. WASN'T HE SO CUTE? IF YOU WOULD LIKE TO APPLY FOR ONE OF MY AWARDS, GO TO THE AWARDS GIVEN PAGE AND LOOK AT THEM, SEND ME AN E-MAIL AND GIVE ME YOUR URL SO I CAN GO LOOK AT IT, ALSO TELL ME WHICH AWARD YOU ARE APPLYING FOR. SIGNING OF THE GUESTBOOK WILL GUARANTEE YOU AN AWARD. ALSO IF YOU WOULD LIKE YOUR PETS PHOTO ON MY NET FURRRIENDS PAGE E-MAIL ME THE PHOTO WITH NAME AGE AND WHERE FROM AND TELL ME IT IS FOR FURRRIENDS PAGE. IF YOU WOULD LIKE TO EXCHANGE BANNERS WITH ME GO TO MY BANNERS EXCHANGE AND GET MY BANNER AND E-MAIL YOUR BANNER TO ME, JUST BE SURE AND LINK MY BANNER BACK TO MY SITE, THE LINK IS ON THE BANNER EXCHANGE PAGE. 3/23/2003 I added some more to my ABOUT ME page, my family went on vacation and left me here, so I wrote about my experience while they were gone. I also have added some new net furrriends. I am going to add some more to my about me page. i am adding the information about our move back here yo Wolfforth, Texas from Tucson, Arizona. We moved back here on June 6th 2003. July30,2003 not much been happening. I am updating and trying to get this all updated with new e-mail. Will add some more to the about me page. Jan. 1, 2004 Well, a new year has started. Didn't do anything to enter in the New Year. I did get some wonderful treats though. Also for Christmas I got some treats, also my purrrents got me a window seat so I could look out the window. They didn't really buy it new though, my daddy made it for me, wasn't that nice of him? I'm adding a few things on here. Hope all had a good christmas and a Happy New Year, well, gotta go now and eat and take a catnap. Til next time---MEOW.